Deanna is the Director of Administration, and has been a part of our Cornerstone family for 8 years now. She handles all things finance-related for the clinic as well as keeping our computers and equipment running smoothly. Deanna graduated high school in Canada but came to the U.S. to attend Texas A&M. She and her family settled in Erath County in 1988 and have spent most of the last 30 years living in the area. Outside of work she enjoys her three grandkids, watercolor painting and taking long country walks with her dogs. Mackenzie has been with our Cornerstone family for 4.5 years now. She is our Director of Operations, which keeps our hospital and staff flowing smoothly! And, she still handles technician duties, and runs a majority of our social media. Mackenzie is from Virginia, but went to high school and college in Texas. She enjoys working her horses, cooking, traveling, and keeping up with all of her animals in her free time! Natalie is our receptionist and has been with us since Day 1! Natalie handles most of our busy schedule, phone calls, inventory, and international health certificates. She is a Texas native, and enjoys spending time with her family, going to the beach and loving on her cats. Taylor has been with us for a little over 2 years now! She is cross trained in many areas of the hospital, handling reception, assistant, technician and kennel duties. Taylor is attending TSU and is majoring in biomedical science or Pre Vet. She plans on attending vet school one day, but wants to continue her education as a technician until then! Kirsten is a veterinary technician at the clinic. She learned the bible of an outdoor enthusiast growing up on the coast of Corpus Christi, Texas. Her passions include hunting, fishing, hiking, and photography with the undeniable love of animals and nature. She has three horses and three Australian Shepherds! Tanner has been with us for 1.5 years now. He is Mr. T’s main caretaker, as well as helping out with kennel duties and assisting in other areas of the clinic. Tanner is going to Tarleton for his degree in wildlife, and hopes to become a wildlife biologist or work in fisheries one day! 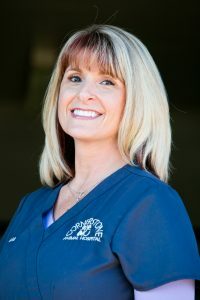 Laura has been with Cornerstone since 2011 – starting as a receptionist, then a kennel technician, and soon worked her way up to Kennel Manger. These days, Laura oversees our kennel staff and the animals that stay overnight in our kennel area. She has tremendous compassion for both animals and people and we love having her as part of our Cornerstone family. Madison is a kennel technician at the clinic. She is from Port Arthur, Texas and is currently attending Tarleton State to achieve her Bachelors of Science in Pre-Veterinary Studies. She loves anything with fur and hopes to own her very own clinic one day! Maison is a kennel technician at the clinic. She is an Animal Science Pre Vet major and Presidential Honors member at Tarleton and would like to go to A&M for vet school. If she’s not at work or school, she is either riding, playing fiddle, playing with her dogs, or traveling.